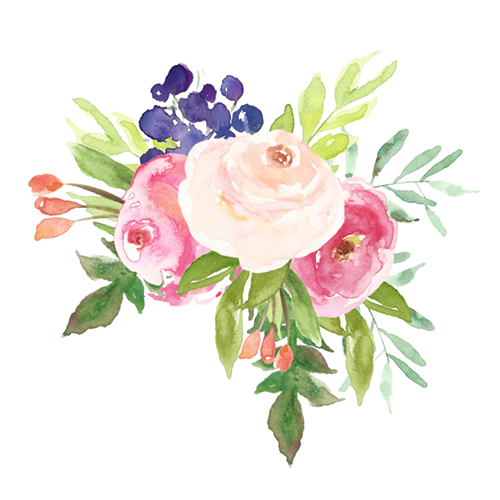 In addition to floral design, we can style your event with the addition of rental items for your decor or custom crafted paper designs. 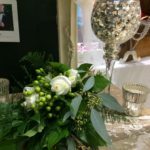 Rentals are included when used in a floral design. 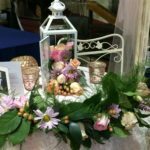 Vases-we have a large inventory of containers available to complement your floral designs including silver, gold, or blush mercury glass, glass cylinders, antique bottles, mason jars, and more. These are included in the price of your centerpieces. Candleholders-we have several styles of votive holders, glass cylinders for pillar or floating candles, tall candlesticks for pillar candles, and various heights of glass taper holders. Candles-rental of candle holders includes regular or battery powered candles. Easels-We can provide floor standing or tabletop easels for signs or photos. 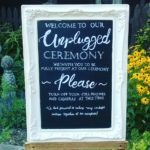 Barnwood sign-“Happily Ever After Starts Here” 2 by 2.5 feet on a 4 foot post. Container not available. 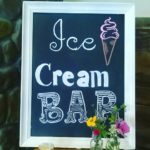 Chalkboards-various sizes and styles, pre-lettered or blank for DIY. Cake and cookie display-glass cake stands, glass, metal, and china cookie trays and tiers. Silver tea service-can be filled with flowers for display. Vintage typewriter-1910 black Smith Corona, great for guest book displays. Table Runners-we have several colors of sequined and satin table runners that can really make your table settings pop! Ask us about them at your consultation. 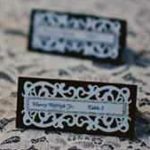 We can provide customized printed and crafted details that carry out your theme from the invitations to your grand exit. Your grand exit-we can craft cones for confetti or flower petals, tags for sparklers, whatever you may need. 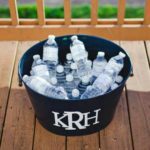 Water bottles-Custom labeled water bottles, great to provide at an outdoor ceremony! We also rent monogrammed ice tubs to display them.